Design is at the forefront of everything we do, whether it’s developing an organization’s online identity or creating user-friendly web products. A constantly evolving solution is central to our business model. We partner with our clients, listen to their feedback and use their experience to guide the progression of our product development. Celect’s family of brands offers design and technology solutions for member-centric organizations of all sizes and purposes. executed through superior design, technology and service. Design is at the forefront of everything we do, whether it’s developing an organization’s online identity or creating user-friendly web products. 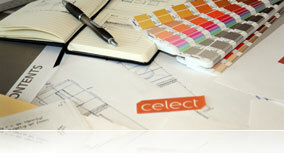 Celect’s in-house design team has years of experience helping organizations strengthen, manage and expand their online presence. For us, a focus on design means intuitive web products, beautiful websites and effective communication. An organization’s brand is its most valuable asset. Through design, we can help an organization capture its identity and communicate its message. Our design team works with each client to develop a look and feel for your website that embodies your mission, vision and core values. We believe design is art that is executed with a purpose. It takes the collaboration of experts in user-experience, graphic design, interface design, digital media and web development to produce a world-class website. A website should be both attractive and user-friendly. Visitors should easily find content and understand interfaces the moment your homepage appears. At Celect, we have the design and technology resources to successfully meet these challenges for organizations of any size. A constantly evolving solution is central to our business model. We partner with our clients, listen to their feedback and use their experience to guide the progression of our product development. The flexibility of our cloud-based model allows us to continually advance the functionality of our web products at no additional cost to our clients. This partnership is at the heart of our strategy to couple better solutions with superior customer service. Celect’s technology combines web-design, content management, e-commerce and member database management with dynamic networking capabilities into a single online communication platform. Celect’s technology is unique because it allows organizations to create unlimited member networks within a single organization or within a group of organizations. For instance, an organization’s international headquarters can share news and control content on the website pages of its local chapters around the world. A member of a local organization can form an online interactive group with members of a sister organization to collaborate, socialize and share information. In this model, every aspect of an organization’s web presence is networked and tied back to a permission-based member database, putting the organization’s administrators in control of their online community. What makes your organization unique? It’s an important part of how your members (and potential members) view you. In the end, there is a common thread between all organizations: the need to effectively communicate with members and efficiently manage money. Collaborate with our professional creative team to develop your organization’s online identity and brand strategy. Whatever your organization’s unique branding needs may be, our team of experienced designers will guide you through our proven process. 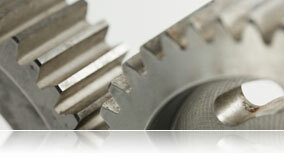 We design and create websites with the intention of speaking directly to your member base. Simplify your online needs by using a unified communication system. Each of our brands and their product offerings are crafted to the specific needs of each distinctive organization we serve. We provide relevant and intuitive web solutions for communication, administration, networking, member management and ecommerce. Email, instant message or call our helpdesk and speak directly to a member of our professional support team of dedicated Account Managers and Support Specialists. 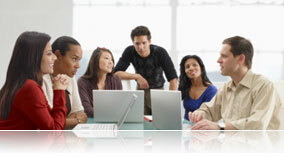 Every client has unlimited access to our help videos, tutorials and other integrated resources. We believe the partnership we have with our clients is our most valuable asset. Strengthening that partnership by providing the best customer service in the industry is our number one priority.